PCA’s exclusive french door Astragal kit allows you to open both doors leaving no obstructions in the opening. And with no center post, you can easily move furniture in and out and have a larger entrance for accessing outdoor patios for entertaining. 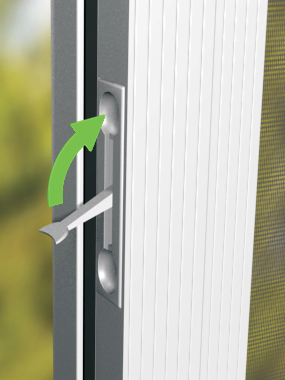 Flush Bolts located at the top and bottom of the Astragal are easy to operate and provide a quick and effective way to open and close your “fixed” screen door. The French Door Astragal kit is made of all rust-free components. They are not only maintenance free they will last as long as the door itself. See our lifetime warranty for details.